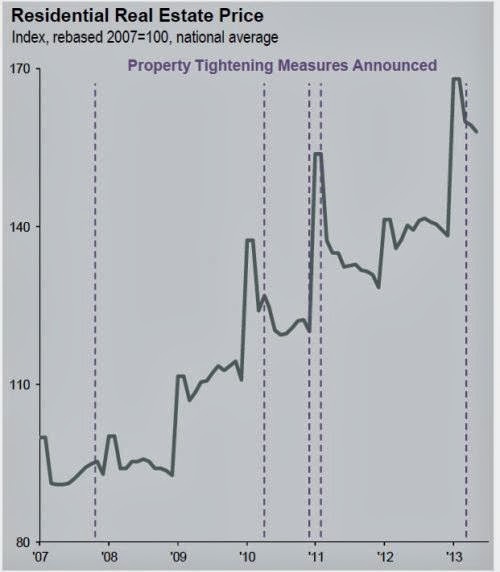 This graph shows the national average of residential real estate prices in China. As you can see prices, corrected for inflation, have increased by 70 percent up until late 2012 and lost some of it's value in the beginning of 2013. 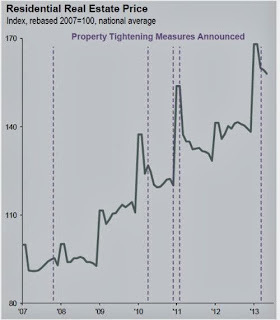 This shows that although the Western world encountered a big crisis, Chinese house prices rose substantially. After all tightening measures house prices were lowered. Actually , It is a elegant and effective website about financial market. It is a very beneficial for us. So, I like it verily . Thank's for published this website. If you want more informastion about stock ticker to visit stock ticker You may have to all of the possibility monitored unwanted shows exhibiting typically the tycoons relaxing in Fence Path returning office buildings intently crying(a) your documents internet streaming beyond long-established share business tickers.